This supplement provides an example of a health surveillance programme for silicosis for occupational health providers and employers to consider. 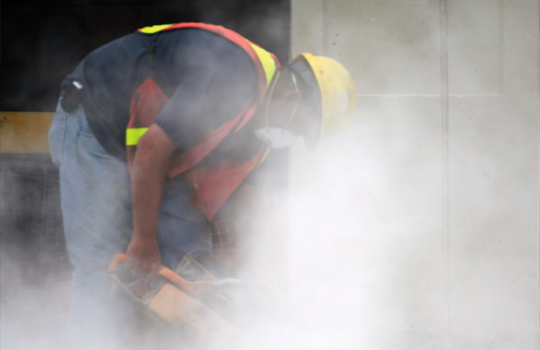 Health surveillance for silicosis should be considered for workers who are involved in high-risk occupations, including construction, foundry work, brick and tile work, ceramics, slate, manufacturing, quarries and stonework. Where workers are regularly exposed to RCS dust and there is a reasonable likelihood that silicosis may develop, health surveillance must be provided. Where there is reliance on RPE as an exposure control measure for silica; or Where there is evidence of work-related ill health in the industry.